A woman from Oklahoma was walking home and approaching her residence when out of nowhere and unprovoked, she was attacked by a pack of sausage dogs. She was horrifically mauled to death. The shocking incident happened on May 10 on a rural road near the town of Ardmore, in the southern part of the state. A group of seven dachshunds attacked the woman identified as Tracy Garcia. It’s only now that the police decided to release her name. 52-year old Garcia worked as a housekeeper. She was already close to her home when the tragic incident took place on a Thursday evening. The mother-of-two later died due to the injuries she sustained from the pack of dogs attack. The police officers who responded to the scene of the incident shot and killed one dog that charged at them. The other six dogs involved in the vicious attack were put down by vets following the request of the owner. The dogs were of mixed breed, with Ardmore Animal Shelter’s euthanasia technician Amanda Dinwiddie saying the predominant breed being the standard dachshund. The other six dogs involved in the attack appeared to be mixed with an unidentified breed of terrier, and the largest could very well be a border collie cross. None of the dogs were taller knee height. All the animals also weighed less than 40lb. Dinwiddie said in her description of the dogs: “They really have noticeable characteristics like knobby legs, knees, very short-legged dogs and their coats. The Carter County sheriff’s office is probing the incident. No charges have been filed yet related to the tragic death of Garcia. It remains unclear if the dogs’ owners are made accountable for their ferocious attack on an unsuspecting woman that led to her gruesome death. Extremely abused animals will in turn abuse , for they have lost trust in humankind. How do you manage to get ripped apart by wiener dogs? Good Ad-Click misleading headline…. Got me. 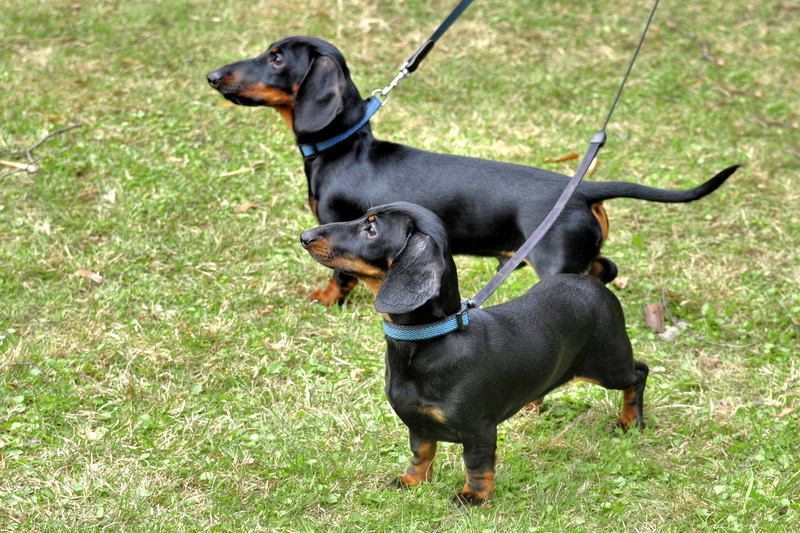 The dogs were of mixed breed, with a some dachshund. The other 6 dogs involved were mixed with an unidentified breed of terrier, and the largest could very well be a border collie cross. It's too bad they didn't put the dogs in ICE. They wouldn't take up a lot of room. Oh, well. I always feel for teh puppez. Factually misleading article which tried to inject humor where human death was involved.